Hello gorgeous readers! I am so sorry I have been absent; I've been swamped with finals this past week! I hope everyone has been doing woooonderful! I wanted to first say a big THANK YOU to two bloggers who have nominated me for the Liebester Award again. I am sincerely SO very flattered!!! DEFINITELY be sure to check out Books, Beauty & Bars on a Budget by clicking HERE and Katherine over at High Heeled Confusion by clicking HERE. They have some wonderful blogs that you definitely need to read. Thank you SO much girls, y’all are such dolls!!!! As you can probably tell by the pictures, I LOVE pairing bright colors together so I wore my neon pink earrings with a blue and white striped tank top and white shorts. It was a fun, bright, summery look! Outfits like this are what I miss when the fall rolls around. If you’re looking for a bright pick-me-up for your outfit, look no further than neon accessories. 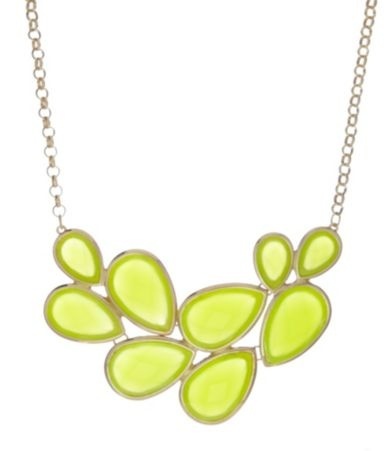 Check out some of the other ADORABLE pieces by Natasha available at Dillard’s…. 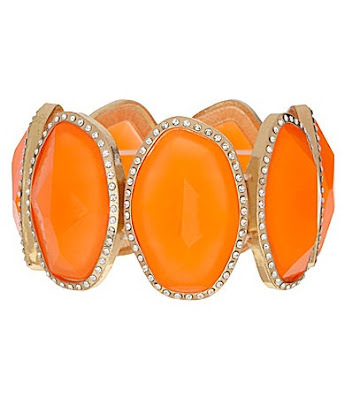 Sooooo dolls, leave me a comment & let me know…do you like neon jewelry as much as I do?! I hope y’all are having a great weekend!!! Thank you so much for reading!